Since Edwin S. Porter’s The Great Train Robbery released in 1903, western films became a popular genre among audiences and an important studio product until a ‘recent’ decline – which started somewhere around the late 1970s – leading the genre from a wider screen presence to an art house confinement. When referring to western films, one talks about a genre that is often set on the climate of the American frontier, a period that started with the first British colonial settlements around the 18th century and ended somewhere in the early years of the 20th century. Thus, comprising all the historical events, social and cultural ideas, as well as, folklore that marked the expansion of the American borders. With that being said, the focus of western films – and ‘western art’ itself – is the portrayal of an America in construction and the conquest and organization of its land by a mixing bowl of immigrants from the wilderness, insubordination, native tribes and many other ‘obstacles’. For that reason, the so called American values (integrity, virtuosity and so forth), civil conflicts, conflicts with Indians (often misrepresented) or bands of outlaws are in the centre of these depictions of America either made by films, by the paintings of Charles Marion Russell, James Bama or Frederic Remington, by the music of Bill Monroe, Bob Wills or Gene Autry or by the popular books of James Fenimore Cooper or Jack Schaefer. Western films were extremely popular during the silent era mainly because of their appeal to the crowds and because they were inexpensive to produce since it was common practice up until the end of the 1920s to shoot westerns in small lots inside the studios. Nevertheless, some titles produced in this period are still important and interesting to watch, for instance, the Mary Pickford featured The Twisted Trail, D. W. Griffith’s In Old California (1910) and Battle of Elderbush Gulsh (1914), for its pursue and rescue scenes, 1911’s The Last Drop of Water and from the same year the innovative Fighting Blood. This type of ‘cheap’ visuals continued throughout the 1920s – exception made to some films and particularly John Ford’s The Iron Horse produced in 1924 – so naturally it’s quite interesting to compare one of these titles with some of the late 1920s titles like Raoul Walsh’s The Big Trail to see how the genre developed and how much studios started to invest in this type of product – because to the studio moguls it really was a product. In the 1930s, western films started to ‘go outside’ and Hollywood studios allowed large crews to shoot on location throughout the western desert sites of the United States – in Arizona, California, Montana, Nevada, New Mexico, Texas or Utah – where it was common to build sets that equalled the scale of real life buildings and small towns, being many of these locations still available to visitation today. 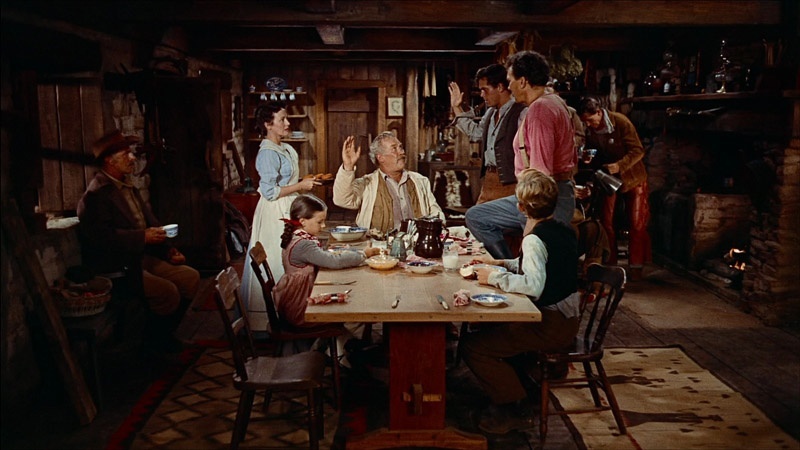 Nevertheless, with the advent of sound and the generalization of its use caused immense costs to the studios that as a response to budget cutting relegated westerns into a second place and started to invest heavily on musicals and films that made great uses of sound, because this was what audiences wanted. So, the number of western productions declined, nonetheless, they were still being made, only this time by smaller studios that gathered around a specific Hollywood boulevard that came to be known as ‘The Poverty Row’. Among these Republic Pictures and Monogram Pictures had an important role in the production of western films. Despite this, the western genre would still have another revival and, naturally, another golden era. And this happened close to the 1940s where some particular films had an immense impact in audience affluence to the theatres, some of these titles were mainly produced in 1939, for instance, John Ford’s Stagecoach, Michael Curtiz’ Dodge City, Henry King’s Jesse James, George Marshall’s Destry Rides Again or Cecil B. DeMille’s Union Pacific and these led to a genre revival and a peak which occurred during the 1950s, only this time these weren’t films produced in backlots or on small locations, these were films produced on an epic scale, shot with more time and funds allowed by the studios to which they generated massive profits, becoming for these motives known as Epic westerns. A designation that would see its reputation truly consolidated during the 1950s. The Epic western depict or are influenced by, generally speaking, the most turbulent and violent events during the period of the American Frontier – the pillage of small towns, death-defying journeys, conflicts with native tribes as part of the duty of patrolling the frontier, the American civil war (1861 – 1865). And it is within this realm that John Ford’s The Searchers can be inserted. 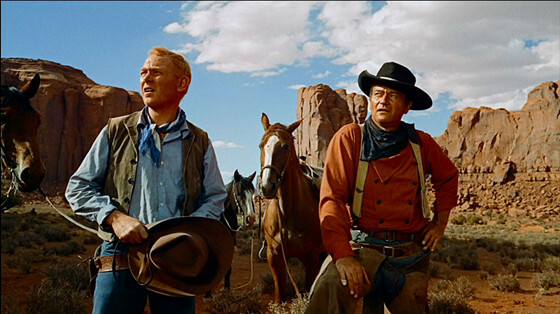 Produced in 1956, The Searchers is based on the obsessive quest of Ethan Edwards (portrayed by John Wayne), a civil war veteran, who after the murder of his sister in law and her entire family starts hunting for the only surviving member taken by the Comanche warriors – Debbie, his little niece. Five years pass until Ethan accompanied by a half Indian named Martin Pawley (portrayed by Jeffrey Hunter), who had been adopted by his sister-in-law’s family, comes across information that leads him to Scar and his tribe, who were responsible for the murders and the keeping of Debbie (Natalie Wood) ever since. Only Ethan’s intention is not to rescue the girl but shoot her since in his words she has become “the leavin’s of a Comanche buck”. 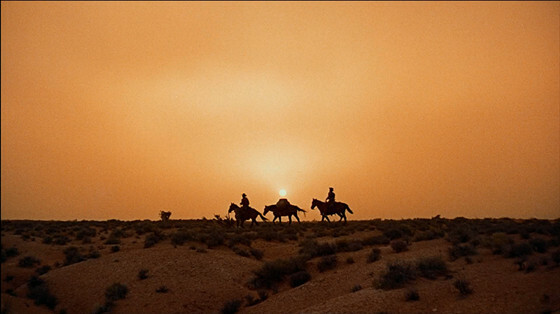 Inspired by many sources including Alan Le May’s The Searchers (1954) and real life abduction cases of women and children by Indian tribes such as the kidnapping of Cynthia Ann Parker in 1836 with nine years old, The Searchers was a tremendous hit being estimated that only in its first year it grossed more than five million dollars. 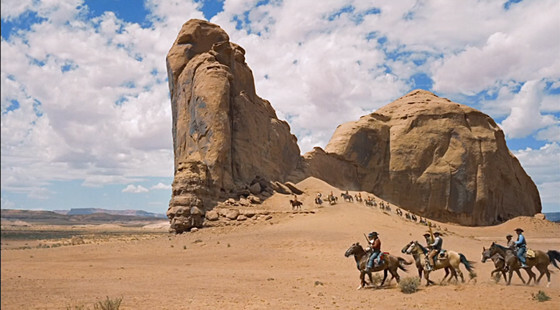 Throughout the years many institutions, scholars, critics, admirers and cinephiles have praised The Searchers as one of the most important American films, one of the greatest and most influential films of all time, the best American western film and so on… but why? 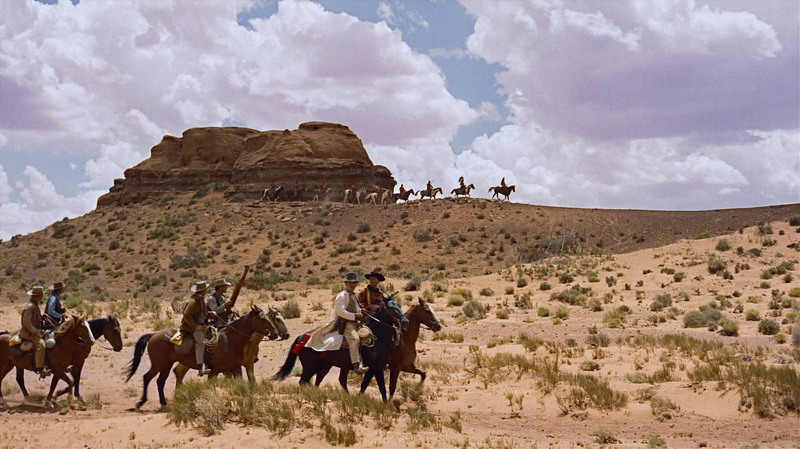 That’s the focus of this article: to as briefly as possible, summarize some of the reasons why The Searchers has become throughout the years the best American western film. Epic Western is the depiction of America and its greatness. It is the sub-genre of Western films that really puts an emphasis on the praising of the country and its people. Perhaps being that the reason why it places particular focus on the turbulent times in the making of the American frontier, because its main goal is to show the greatness of a nation and its people, and subsequently, to show how hard was the struggle for conquering the land and at the same time to insure personal survival. So, naturally, this becomes more than the praising of memory, it becomes almost a patriotic duty – to remember the hardness of the nation’s backbone – and this of course is one of the great characteristic of Americans, the love for their nation. Regarding topic A, one thing is certain, Ethan is not another flat movie character, he is human. With all, perks and flaws. And despite opposite opinions, Ethan really is a hero, first it’s not a coincidence he is a civil war veteran, second deep in the basis of his perseverance is his love for niece, his wanting to find her and protect her, despite his superficial rage, his wanting for revenge and his heavily discriminatory view of Indians. He is the hero and the fact that the film is character driven makes important this intense and profound depiction of this scarred man. 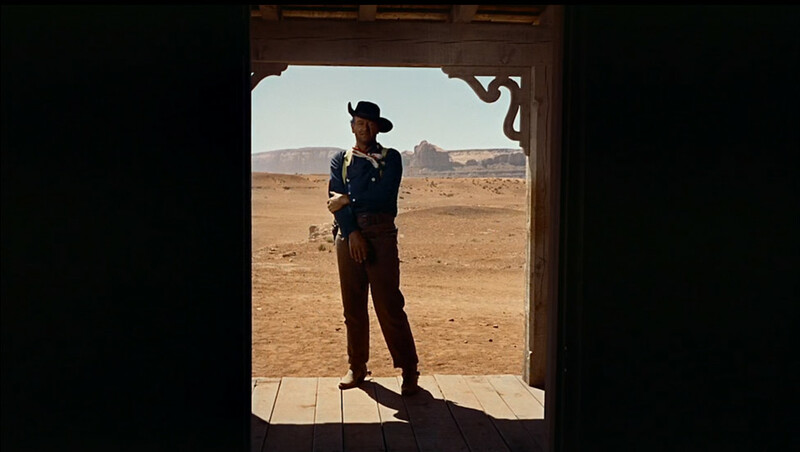 Even though not so much in The Searchers, the hero is westerns, generally speaking, can also be accounted as a sort of “migrant God”. He is well liked, he occupies a popular place in society – mainly because he is an outsider helping the community in some way – and yet he refuses to truly bond with people or better said to create roots and settle in among them, that’s why he, the hero, is a sort of God that watches over the people, the frontier and the security of both. Ethan matches some of these characteristics. 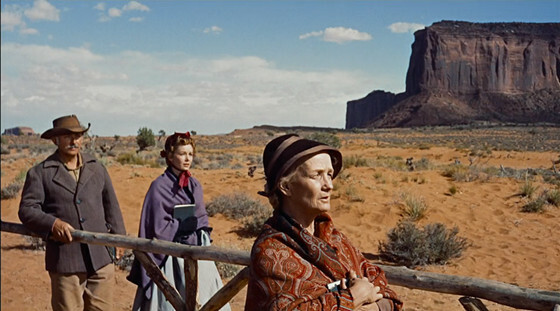 The spreading of the American values in The Searchers is quite noticeable, not only through Ethan – symbols of the people’s perseverance, endurance, strength – but also through secondary characters as the ones portrayed by Jeffrey Hunter – justice, pardon; Vera Miles – classical American woman, symbol of virtuosity, femininity, fertility, persistency and with hard or soft heart whenever its needed; or Ward Bond – the good old townsfolk. As the setting’s importance has been clarified before, the attention is now turned to the landscape and how it becomes a silent character that quietly oversees the events happening within its reach, while similarly, being an element of great importance to the filmmaker that tries in all shots to frame its dimension, its beauty and magnificence, as well as, the way it evolves and nurtures the action taking place. 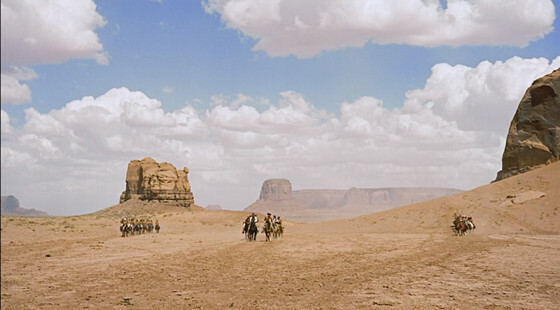 In the particular case of John Ford, there are several important locations but only one retains prominence– Monument Valley. It is interesting to observe in The Searchers the incorporation not only of American ideals, but also of themes that attracted the audience’s attention and were therefore popular among them. 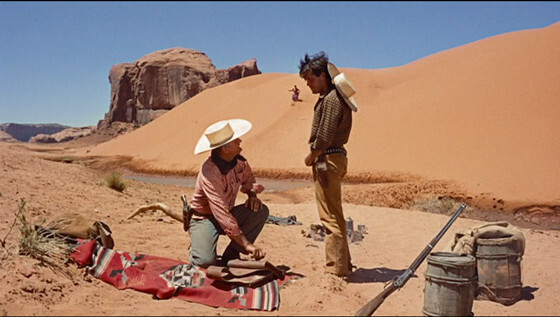 The Searchers is a tale of personal redemption, as well as, obsession, suffering, survival and so on, but it is this particular idea of restoration, not on the outside that surrounds the hero but inside the hero himself, that drives particular closeness with the audience. Ethan, is a war veteran, a hard man who has endured the malignancy of warfare, nonetheless, he is loving and caring towards his relatives – thus, the importance of the scene where Ethan gives Debbie his medal – and this is precisely the recipe to attract audiences (particularly at the time): a man of good character. Nonetheless, there are other themes that are often successful among audiences such as the cases of woman in distress – the kidnapping of Debbie; the tale of personal revenge – Ethan’s; the emphasis on family values; the sense of unity that comes from the family – particularly in the film’s first scenes and even in the search of Ethan for Debbie which can also be perceived as an attempt of reunion; young love – introduced in The Searchers by the characters of Martin Pawley and Laurie Jorgensen, who are also essential in the film for the balance they provide in terms of “easing the mood”; the idea of the unknown danger – how far are the Indians? Are they going to attack Ethan and Martin…; and the mystery – is Debbie alive? How long will she be missing? Will they ever find her? These are all elements that appear quite simple to introduce in the script and film written like this, however, they resume a great range of possible paths the film could take, but the truth is that when given such wide range of prospects, films of this period and even today usually fail either because all these ideas and themes get confused with the plot or because they rob the plot, characters or the story from its importance or because they simply don’t reach the audience and when that happens we know that somewhere from the scriptwriting to shooting or editing something wasn’t planned or done in the best of ways. 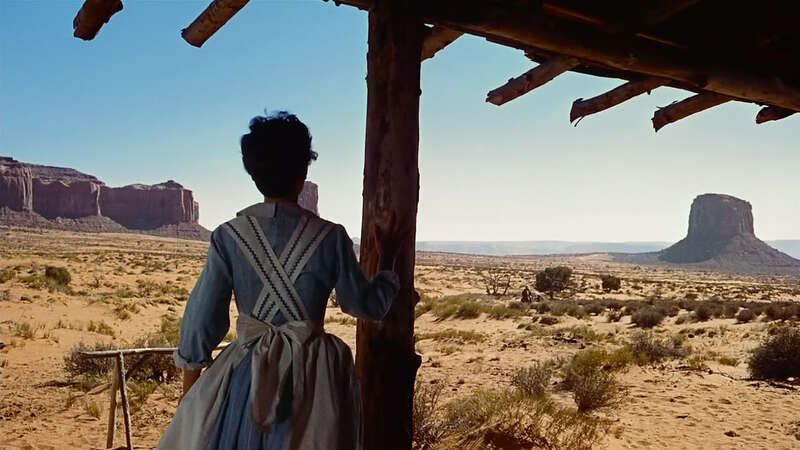 Even though it was popularized and perhaps greatly done in many other films before and after The Searchers, the truth is that when writing on the film’s importance one cannot disregard the use it does of sound and the many roles of sound in a film. The studio system contrary to general thinking was perhaps the most important film period/movement in film history not only because of its innovations but also because it took the early knowledge of Soviet montage, the German aesthetics, the French lyricism, the Italian ‘Epicism’ and many other elements from many other sources and then combining them together into a code of norms that was introduced to film which logically affected the use of all its crafts. Being the main idea: produce a sense of unity. So, naturally, sound is an element of extreme importance since it assumed various role within a film, first an informational one (communicating the meaning, the symbolism of some object/character and also to recognise a certain character and this happens when we listen to a specific sound or music associated always with the presence of a certain character) and in The Searchers sound was famously used as an indicator of imminent danger, meaning, the proximity of Indians. Second, sound eventually assumed an emotional role (to describe, appeal, add credibility or even emphasise a certain dominant mood or feeling) and in the film this happens in many moments, particularly, those of Ethan with his family. 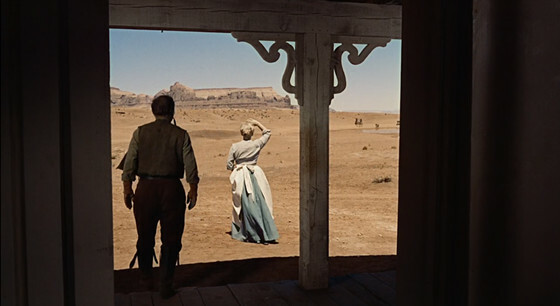 In another perspective, sound could also be descriptive (helping to set the mood or describe a specific context where the action occurs), but in The Searchers besides being descriptive sound becomes illustrative hinting at the hidden violence that happened in the murdered family’s home. However, sound also serve at times as a sort of guide (to drive the audience’s attention towards something and in contrast it can also hide something from the audience’s attention), being this widely used in the film for the first motive, and at last sound could assume a rhetoric role (as if music or any sound gains a narrative presence, commenting on something) and, naturally, it helped maintaining continuity by aiding in a film’s temporary or main goal which could either be the passage of time, defining continuity between scenes or setting a structure/form. John Ford was one of the major household names of the studio system, ever since The Iron Horse which he directed in 1924, Ford was regarded by studios and audiences as a sort of seal of quality and this meant profitable films (for the studios), appealing and entertaining films (for audiences). With that being said, to the audiences at the time a picture directed by John Ford rouse the same kind of excitement as nowadays a picture directed by Martin Scorsese or other popular film directors does. And because throughout his career Ford specialised in western films, many saw his as the best western films ever done. John Ford started his career as a prop man at Universal around 1914, which was in those days a minor studio. There he started to direct short and feature films but it was after only after moving to Fox in 1922 and with the production of The Iron Horse that Ford’s career gained another pace towards recognition and prestige. A similar background had one of his long-time collaborators and friends, American icon John Wayne. Wayne who also started in minor studios and just like Ford as a prop man was spotted by Raoul Walsh who then used him in The Big Trail (1930), however, after that, Wayne returned to small studio productions until later through Tom Mix, a great western film star, he became acquainted with John Ford starring in The Stagecoach in 1939. From then on the two became a dynamic duo and one of the most important actor/director duos in American cinema whose films were widely popular. 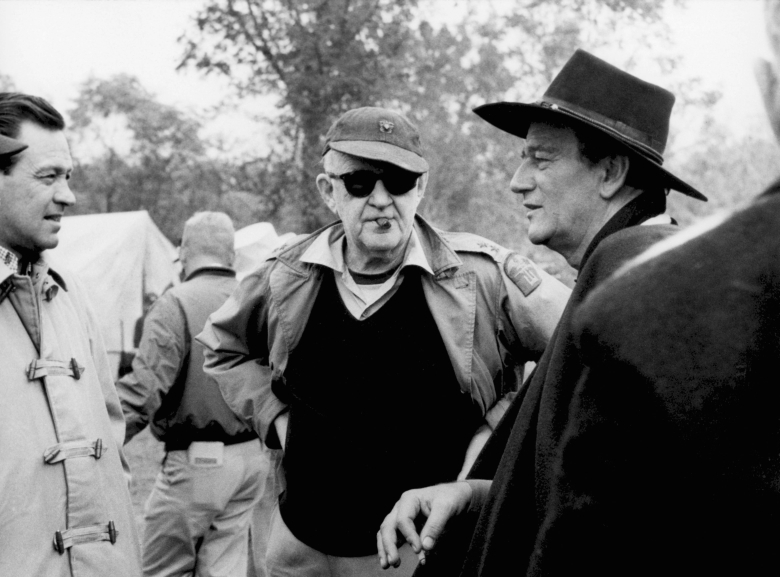 Being much of Wayne’s status as a star due to the films he made with John Ford starting with Stagecoach (1939) and then followed by The Long Voyage Home (1940), They Were Expendable (1945), Fort Apache and 3 Godfathers (1948), She Wore a Yellow Ribbon (1949), Rio Grande (1950), The Quiet Man (1952), The Searchers (1956), The Wings of Eagles (1957), The Horse Soldiers (1959), The Man Who Shot Liberty Valance and How the West was Won (1962) and Donovan’s Reef in 1963. So, naturally, the question then is the same as it is now: It’s a John Ford/John Wayne film so who doesn’t want to watch?